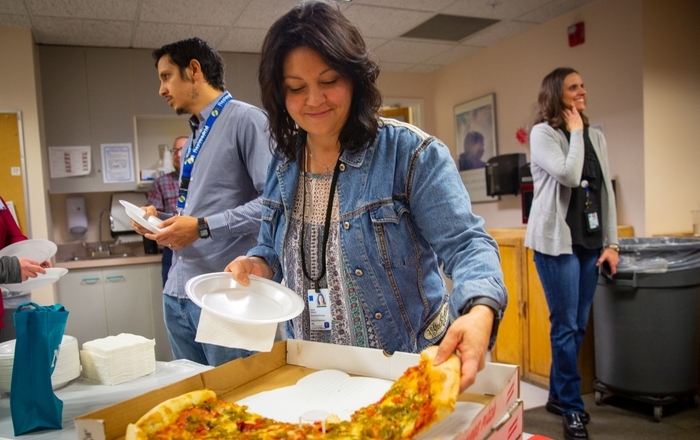 Joyce Chavez, an accounting manager at The University of New Mexico Hospital Department of Pediatrics takes a slice of pizza handed out by UNM Health Sciences Center Chancellor Paul B. Roth and UNM President Garnett S. Stokes as a thank you gift for the department raising $29,474 for the UNM Gives Campaign. 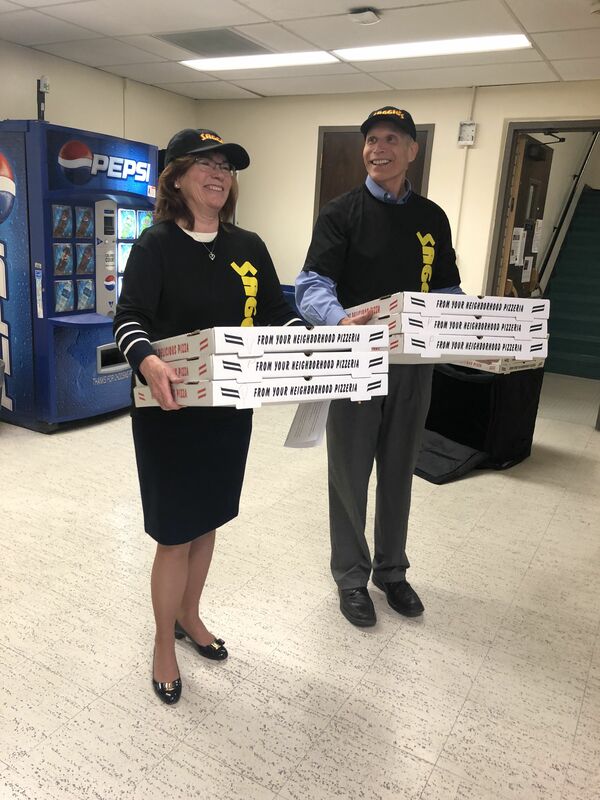 Staff and faculty of The University of New Mexico Department of Pediatrics help themselves to pizza given out by UNM Health Sciences Center Chancellor Paul B. Roth and UNM President Garnett S. Stokes as a thank you gift for the department raising $29,474 for the UNM Gives Campaign. 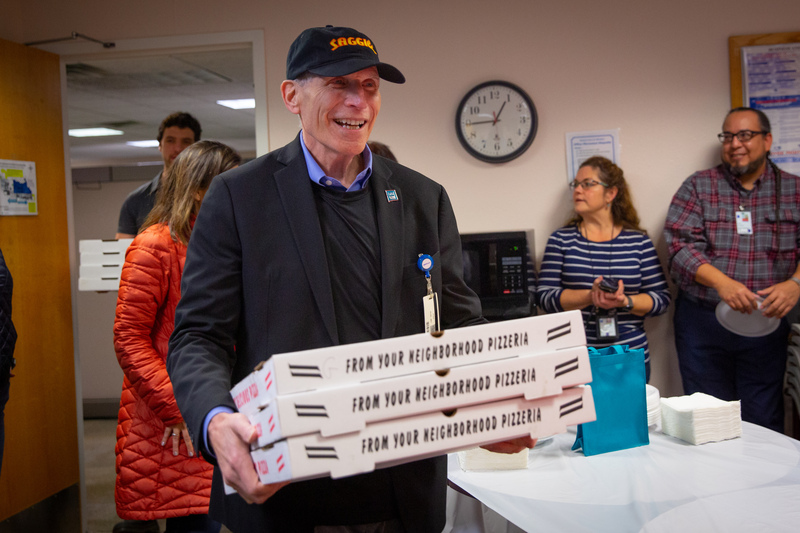 University of New Mexico President Garnett S. Stokes, left, and UNM Health Sciences Chancellor Paul B. Roth, right, deliver Saggios pizzas to the Department of Pediatrics as a thank you gift for raising $29,474 for the UNM Gives Campaign. 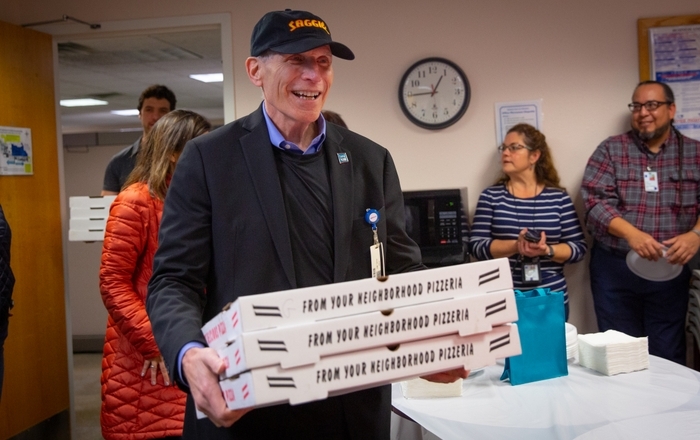 The University of New Mexico Health Sciences Center Chancellor Paul B. Roth delivers pizza to the staff and faculty of the UNM Hospital's Department of Pediatrics as a way of thanking them for rasing $29,474 for the UNM Gives campaign. The UNM faculty and staff raised more than $950,000 for the UNM Foundation and the United Way of Central New Mexico for the 2018 drive - $200,000 more than last year. 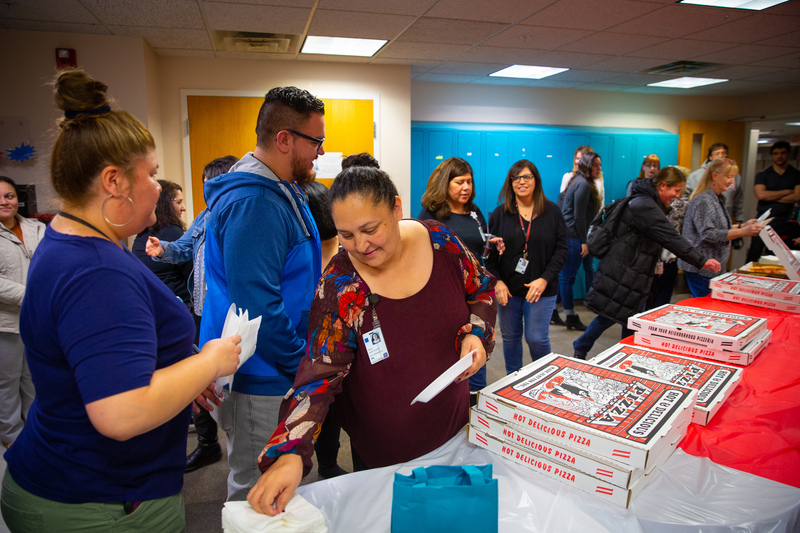 On the UNM Health Sciences Center campus, the Department of Pediatrics raised the most money, raising $29,474. The Main Campus winner was the College of Arts & Sciences administrative support , which raised $13,693. 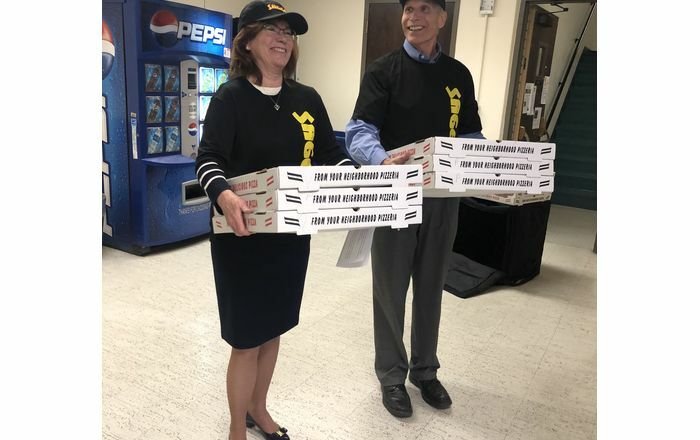 The pizzas were donated by Saggios. 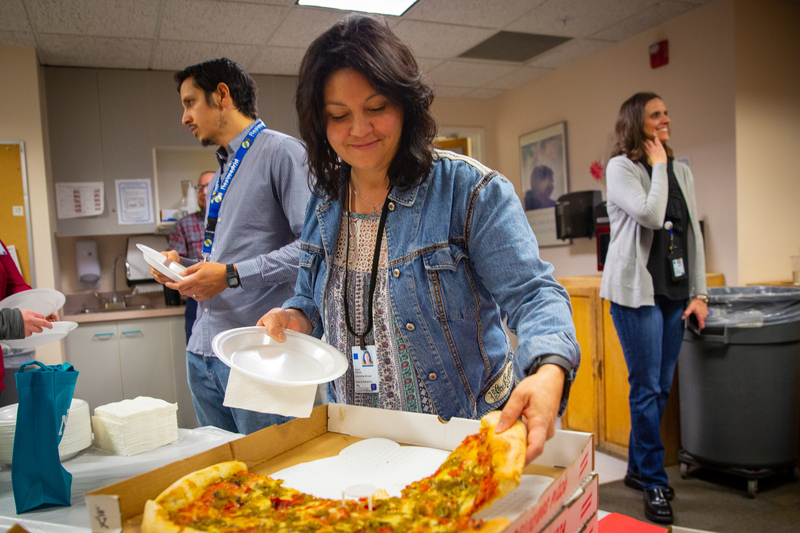 “I think it speaks to our staff and how important it is to give to United Way,” said Loretta Cordova de Ortega, MD, chair of the Department of Pediatrics. “I think it fits within our culture here. Because we take care of children and families, and I think it’s just an extension of that. We have a large number of staff and faculty here — but as an example, they do fundraisers for our children, do activities for our community here and our faculty who take care of kids. Roth said he was extraordinarily proud of everyone’s efforts in the campaign.